← Could Russia be a Key to International Justice in Libya? Forces loyal to Syrian President Bashar al-Assad probably used chemical weapons in an attack on the outskirts of Damascus. The United Nations responded that it will probably investigate what happened. 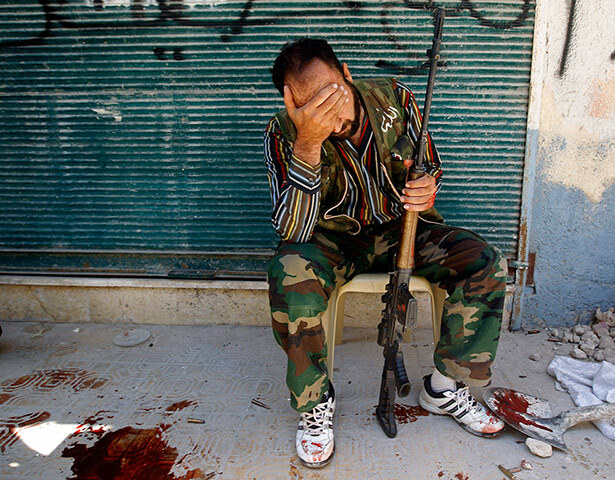 Still, the International Criminal Court (ICC) probably won’t be investigating alleged crimes in Syria any time soon. After two-and-a-half years of debilitating civil war in which some 80,000 – 100,000 people have been killed, the international community is no closer to bringing anyone suspected of war crimes and crimes against humanity in Syria to account. It isn’t because there’s a lack of injustices to investigate. The alleged chemical weapons attack on civilians is just the latest atrocity to garner the attention of advocates seeking referral of the situation in Syria to the ICC. But despite the outcry over the barbarity of this attack, it remains unlikely that that the ICC will find itself investigating atrocities in Syria. Here’s a few reasons why – some obvious, some perhaps less so. The ongoing stalemate between Russia (and, to a lesser extent, China) and the rest of the Security Council is the most obvious and most widely reported reason as to why no ‘breakthrough’ on the Syria question has been achieved. In order for the ICC to intervene, the UN Security Council would have to refer Syria to the Court. In order to do so, Russia needs to either abstain or vote in favour of a referral. It isn’t likely to do so. Russia, it is regularly argued, remains stubbornly supportive of the Assad regime. Russia has supplied Syria with “advanced missiles” and has consistently protected Assad from assertive action by the Security Council. In July, the Russian government suggested that it was the rebels who had used chemical weapons in their fight against the regime. In emergency meetings where the Council discussed how to respond to the alleged chemical weapons attack, Russia maintained that videos showing civilians suffering from the effects of chemical agents was a “premeditated provocation” and was likely fabricated by Syria’s rebel forces. 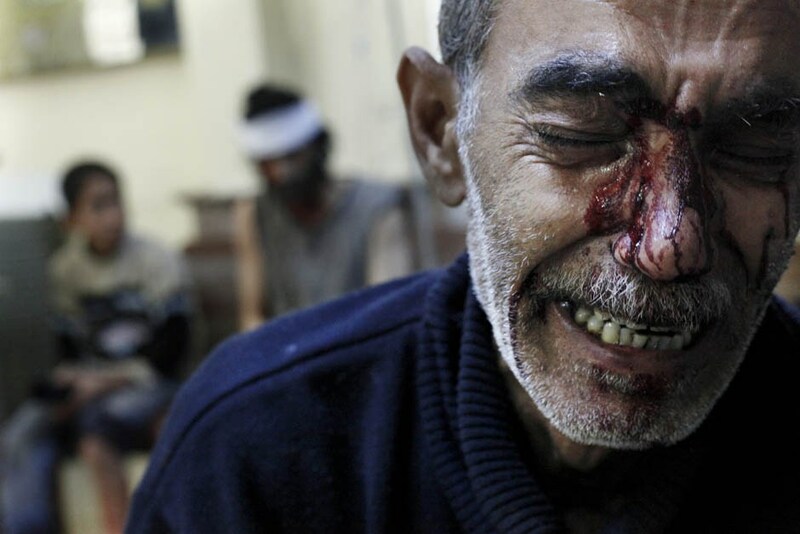 This was in line with the response of the Syrian regime. It is easy to believe that Russia will, come hell or high water, stand by Assad. Still, however deplorable Russia’s position on Syria has been, it has also proved a useful scapegoat to Western states eager talk the talk but unwilling to walk the walk. It has regularly been argued that if only Russia would step aside, the rest of the international community could finally intervene in Syria. This unfortunate but popular characterization of the situation obfuscates the reality that the international community has long been intervening in Syria Indeed, the civil war in Syria is something of a proxy battle with Russia arming the government and the ‘West’ arming the rebels (consequently, the (re)solution of the Syrian civil war is likely to depend on the relationship between Russia and the ‘West’ as much as what happens on the ground). The debate over intervention in Syria is thus not one of action versus inaction. And when observers suggest that the international community should be “doing more” in Syria, they are calling for some form of direct military intervention. For the many who continue to be wary that a direct intervention in Syria could spell disaster – for Syria and for the wider region – anything and anyone that blocks such an intervention is welcome news. As for a judicial intervention by the ICC, the story is similar. The UN Commission of Inquiry on Syria has catalogued rebel crimes and, according to UN High Commissioner for Human Rights Navi Pillay, the Syrian rebels that the ‘West’ supports have likely committed war crimes. This certainly complicates any idea of Western states using the ICC as a tool to hurt the regime. In the initial stages of the civil war, it was foreseeable that the P3 could ‘use’ the ICC as they had in Libya – to pressure the Assad regime, bolster efforts to depose him, and legitimate the opposition. Now, however, the ICC would almost certainly investigate – and indict – both sides. But Western powers likely prefer no judicial intervention than one that targets the side they support. While Russia (perhaps rightly) receives the brunt of the blame over the lack of concerted and forceful action in Syria by the Security Council, it is also worth asking whether any of the key Western states on the Council are truly prepared to give way to a military or judicial intervention. Given how much it took to convince the US that intervention in Libya (a much ‘easier’ place to intervene) and the reality that France and the UK don’t have the military muster to go it alone, it is highly doubtful that they would pursue any type of direct intervention. It also seems unlikely they’d want the ICC involved. Of course, being able to blame any ‘inability’ to intervene more forcefully on the big, bad Russians is highly convenient. Over the last two years, the possibility of Israel coming under the jurisdiction of the ICC has emerged as a key point of contention in the international community (although less so now with the onset of peace negotiations between Palestine and Israel). Western states have been vehement in their view that Israel not come under the jurisdiction of the Court. But, in a rather odd twist of fate, referring Syria to the ICC could do just that. Israel’s role in any solution to the Syrian crisis remains rather murky. But it wouldn’t be surprising if putting Israeli officials under the jurisdiction of the ICC is a more fiercely defended “red line” than the use of chemical weapons in Syria. So No ICC in Syria? The world of international criminal justice serves up too many surprises (see the unanimous Libya referral by the Security Council and the walk-in-surrender of Bosco Ntaganda in Kigali) to conclude that the ICC won’t ever investigate Syria (Russia signalled it might be interested in the idea but only once the violence has ended). 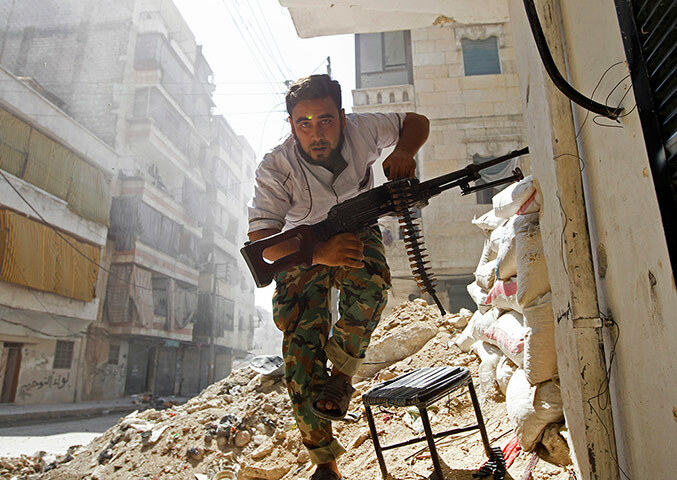 But, for the moment, an ICC intervention in Syria remains highly unlikely. The only people it would serve are the victims of this brutal civil war. As it currently stands, that’s sadly not enough. This entry was posted in International Criminal Court (ICC), Russia, Syria, UN Security Council, United Nations and tagged Bashar al-Assad, chemical weapons in Syria. Bookmark the permalink. So the ICC won’t intervene until the West is comfortable that it should do so? What about the ICC intervening on its own under the so called ‘proprio motu’ option allowed by article 15(1) where the prosecutor has power to initiate an investigation on her own without referral from the UN security council or even a State party?? You’ve just confirmed what we have always maintained, that the West uses the ICC to manipulate international politics to serve its selfish interests. In Syria, it is obvious that one of the reasons ICC has not stepped in, and as you have just unwittingly revealed, is the protection of Israel from being subjected to ICC jurisdiction, and if Israel can be subjected to ICC jurisdiction, it will only be a matter of time before the US and UK too come into their sights i.e if indeed the ICC is truly ‘independent’. This creepy hypocrisy of the West, its manipulative press and the legions of eager minions ready to do their bidding in covering for the ICC’s nauseating behaviour is not only extremely reckless and dangerous, the time is coming when it must and will end. I hope African nations have taken note. Just as they had to fight for their independence, so now they must fight to remove themselves from the ICC’s bacteria infected clutches before they seep their poison into their body politic and destroys the continent. Pingback: checmical end of InterNational Criminal Court? | imagine art -||+ there about? I personally woudn’t say that Syria is a “proxy war between Russia and the West”, rather a proxy war between Russia-Iran and other islamic countries (Saudi Arabia). To my knowledge, States of the Gulf are supporting the rebels far more than the West does. It seems more the focus of an islamic conflict. It was a crime against humanity. Plain and simple. The ICC isn’t (shouldn’t?) be about anything but investigation and eventual prosecution of those guilty of atrocities. We know that Syria will NOT stop with using the chemical weapons this one time. They have the largest stockpile of chemical weapons in the World. I don’t want the US being placed (yet again) as the World policeman. But . . . the alternative is not acceptable either.